The Alliance is intended as a “coalition of the willing” with membership open to all. It is our aim to build a diverse group of partners, and as such, we’ve attempted to outline key tenets of alliance participation, rather than providing details specific to each possible type of prospective partner. 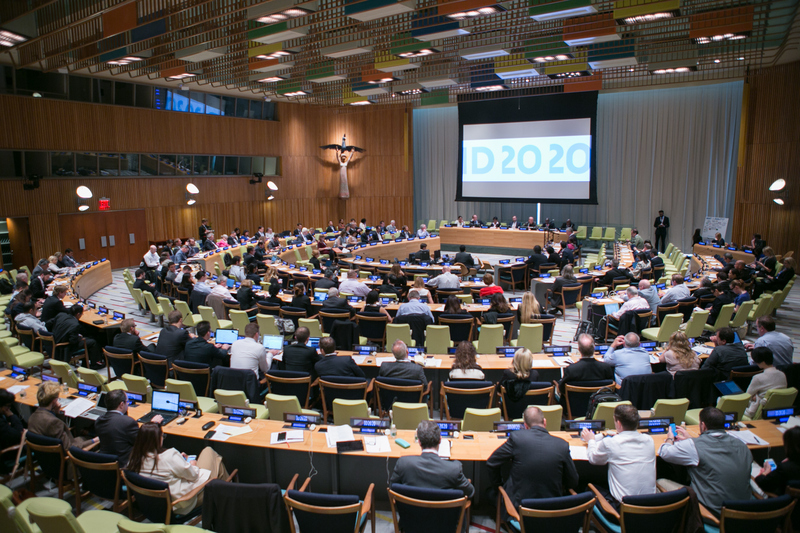 ID2020’s strength derives from it’s open, inclusive, and diverse partnership. Participation is open to all organizations sharing ID2020’s values and cleared through the Alliance’s due diligence process. The ID2020 Alliance offers a variety of shared-value partnership types. 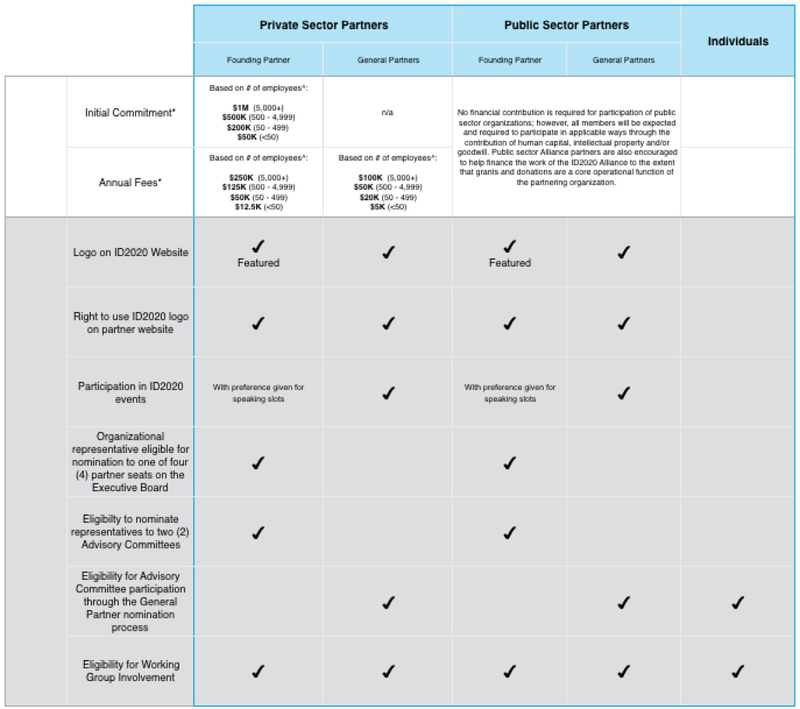 Founding and general partnerships are available for private and public sector partners. See our partnership guide for details on expectations.